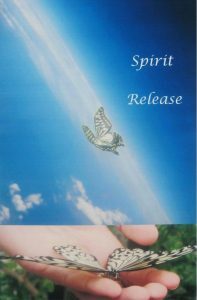 ♥ Experiencing the pure joy of helping earthbound spirits heal and cross into the Light! ♥ Learning to use a Mermet witness chamber pendulum filled with a substance high in monatomic gold. Click Here to See Dr. Stone’s two minute Youtube on the Mermet Pendulum . The Mermet pen dulum is included with the class. ♥ Attunement crystal, 2″ long clear quartz, included with the class, programmed for connection with the right Beings in the transpersonal world to assist with each category of healing needed, transforming fear into courage, doubt into self-confidence, and helping to receive the messages from Spirit to sharpen intuition and guide the healing path. Quartz crystal is the most versatile of all crystals. Quartz has the same material as glass, but in glass, the atoms are arranged randomly. In quartz, they are arranged in a hexagonal matrix. The six sides on the point of each crystal grew that way naturally because of its internal shape. The Quartz Crystal point is like a little computer. It holds memory, receives energy like an old-fashioned radio receiver, transforms energy like the crystal point on an old record player translating the physical groove pattern into sound, and can transform vibration into light. In dark caves, people would hit a large crystal because it would give off a flash of light. CEs: This program has been approved for 24 continuing education units for ACEP re-certification. Successful completion of all three Soul Detective courses is required to receive Soul Detective Badge & Certification. REGISTER FOR ALL 3 LEVELS AND SAVE!! !